We just love DIY projects made with burlap! If you are looking for an understated elegance in your home décor, these creative burlap crafts are for you! 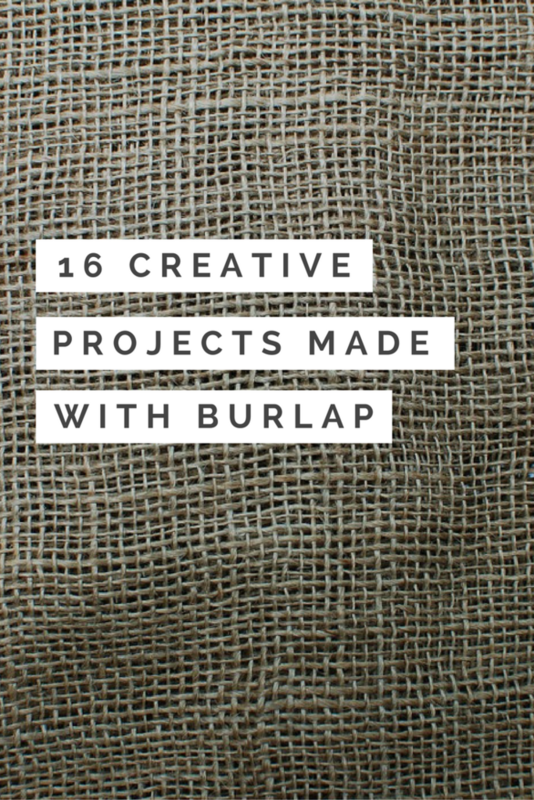 We have collected a list of 16 easy DIY projects that you can make with burlap. 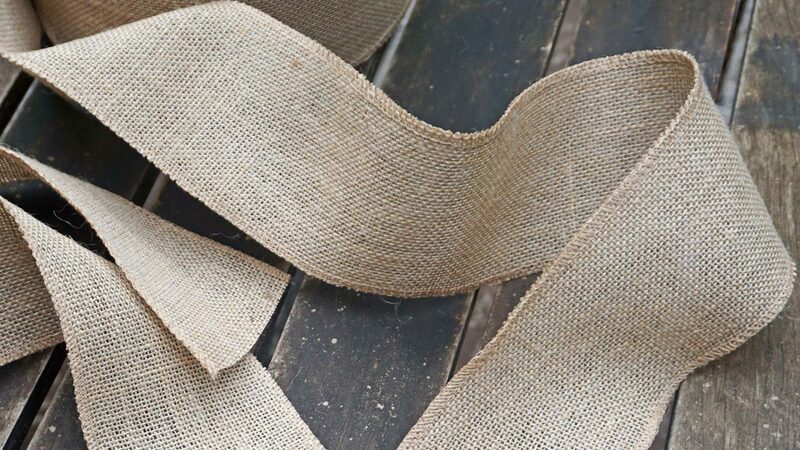 From napkin rings to table runners, picture frames and even wedding attire, you can easily put together these burlap crafts and make housewarming gifts, romantic house décor and get creative with the oh so simple burlap. We bet you are going to find the perfect do it yourself idea! Although this tutorial might suggest using jute, this can easily be recreated with burlap ribbon for even a lesser cost! Weave shorter strips of burlap across the longer ones to make yourself a table runner. This is a no sew project, perfect for newbies or the less crafty ones. A beautiful, unique way to display your utensils at any get together you hold! A perfect touch of rustic for a wedding reception. These are gorgeous! You won’t find a cuter burlap rose on Pinterest. Super easy to do and, again, no sew! It doesn’t matter if you are not the greatest when it comes to crafts, and that’s because this burlap wreath is SUPER easy to make. Use some colored burlap to add a pop of color. Organize your favorite magazines in the most stylish way. This French inspired magazine rack will take you a few minutes. In no-time you’ll have the perfect place to store your magazines and catalogs. Turn a plain and common lamp into a rustic, vintage home décor item. Just some burlap ribbon and a hot glue. The perfect addition to your room. A modern country piece of decoration. Great for an event or simply for your room décor. Is fairly easy to do. It will take you some steps to get the final result, but it is 100% worth it! If you have a hard time finding fresh, fragrant lavender buds, why not make them yourself? This is an easy to do sachets in about 20 minutes. A dashing man in a bow tie? Yes, please! Get yourself your very own dashing fella in a bow tie with this tutorial. Get your man- or yourself- a custom bow tie for any occasion! If you are tired of the ring stains on your furniture, or if you are simply obsessed with the cute varieties of coasters, this is the craft for you! Burlap happens to be extra-perfect since it is super-absorbent! Us foam cones and colored burlap ribbon to make these rustic and super cute decorative trees. This are perfect for the winter season, or simply for throwing a more country vibe in your house. Turn your toilet paper rolls into beautiful burlap napkin rings. Add a sparkly pinecone to make it a little for festive for the holiday season, or keep it simple to use them all year round. This are no woo picture frames. Yes, we said no wood. Cut some heavy cardboard for and wrap some burlap ribbon around it. Very simple, but yet, super creative! This is a simple and unique way to make your home look rustic and natural. A burlap garland is, again, perfect for the holidays, but if it suits your style, you can easily hang it on top of a window. If you need a case to keep your pair of sunnies or, for that matter, glasses safe and sound, you can easily make this unique burlap case instead of buying a conventional cotton, polyester or plastic one. You may think boutonniers are difficult to make, but that’s not the case! Making your own saves you a lot of money, especially if you need several. Make this important part of the grooms wedding jewelry yourself! Burlap is easy to find and relatively inexpensive. Who knew that this scratchy little piece of fabric would become so popular? Grab that burlap from our store and get started on one of these amazing projects. I love all of the creative projects made in burlap but all of them can be made using ribbon, too! How beautiful would that be!!! !